The float valve is not closing. It may be stuck open, it may have a sinking float that keeps it open or it may just not be sealing at it's seat. 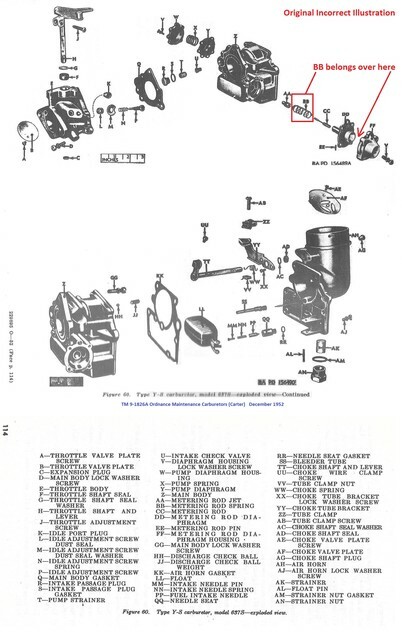 You have access to free manuals here and the ones you need are the IPL (Parts Manual) ORD 9 SNL G-740, Carter Carb OH Manual (Applicable exerpts from TM 9-1826A dated 52. ), your M38 TM 9-8012 and TM 9-1804A. All of these are on our download page in PDF format. Oh mercy. Got the downloads and took apart my first carb! I feel like a mechanic now Wesk! 1. I do not have a Discharge Ball or Discharge Ball Weight? How do I get one? 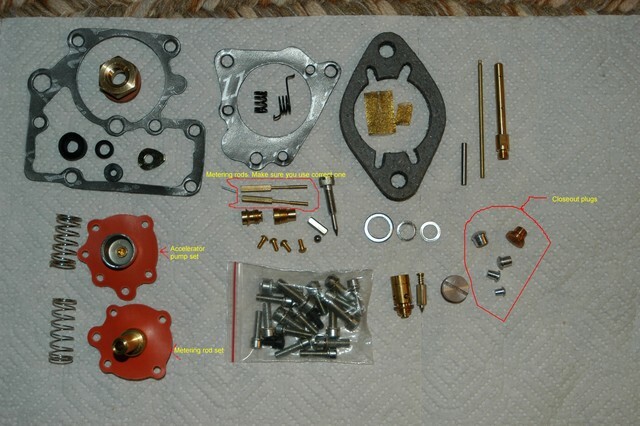 Don't waste your money on old military NOS carb kits. There are three kits on the market. 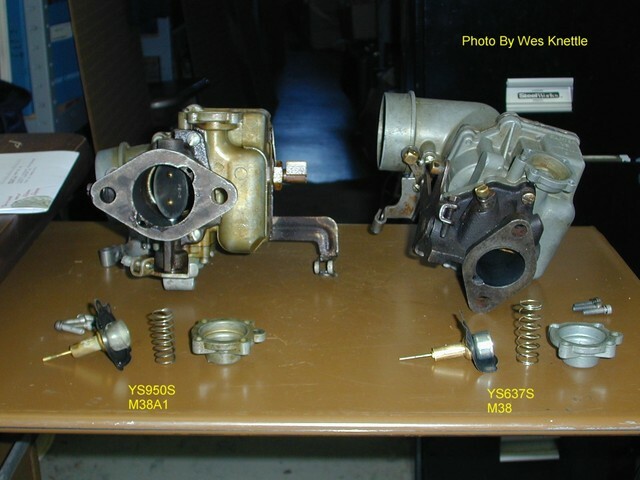 If you have the original YS637S carb that the M38 came with. A dual application kit for both YS637S (M38 & CJV35) and YS950S (M38A1 & M170). 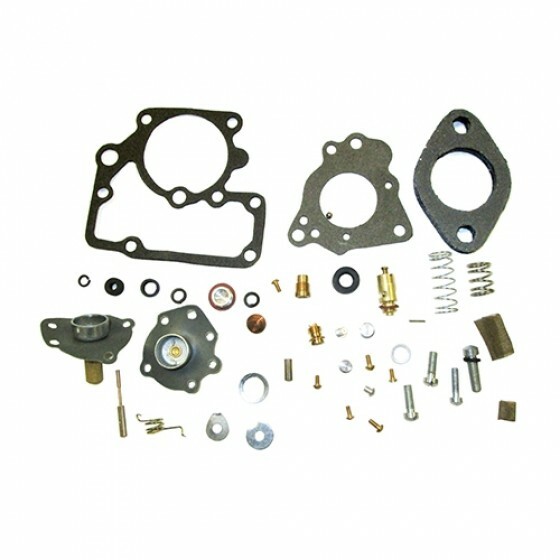 sold by Midwest Military & Army Jeep Parts. 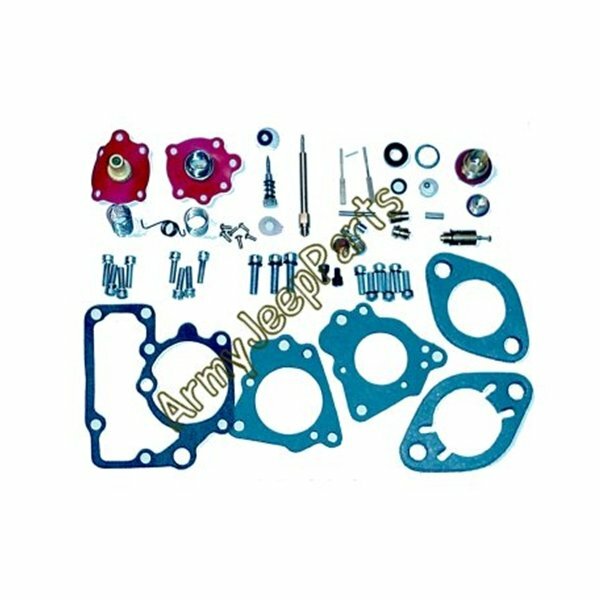 Getting a good kit is not a problem but finding individual parts not sold in the kits is. That small check ball is a very common; Oops it falls out on the floor and overlooked. Visit my photo album (2nd one) or use the link and go to my M38 Fuel System sub-album and review the data I have there. Midwest Military & AJP kit. 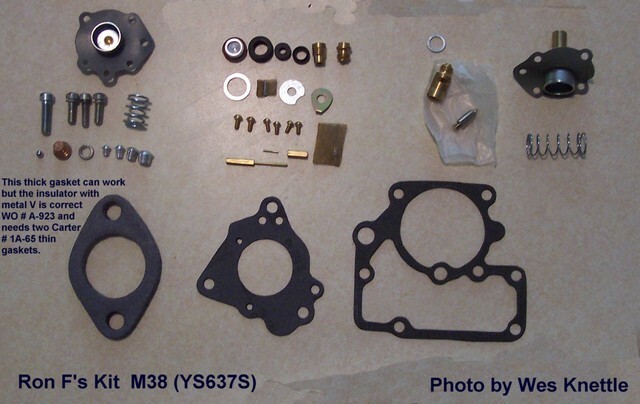 Note neither of these kits includes the correct M38 carb base to intake gasket. 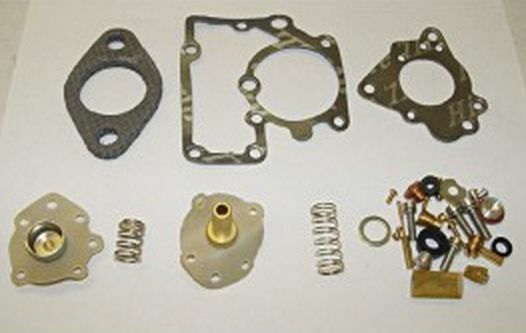 Also use care choosing which springs to use for the two vacuum diaphragms. YS637S vs YS950S metering rods & springs. 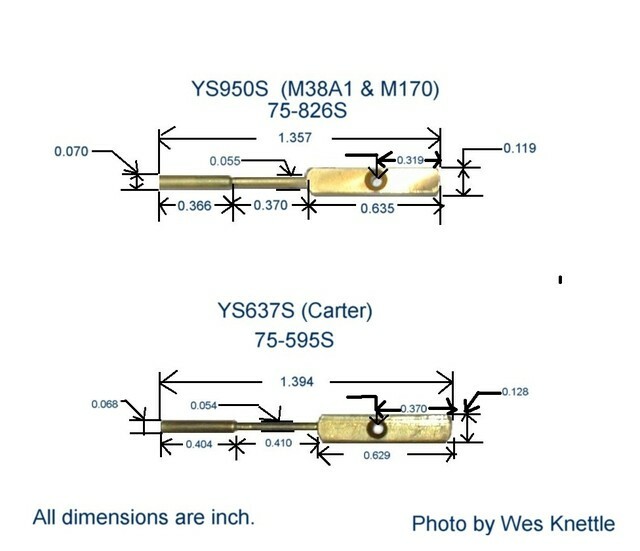 Comparison of YS637S metering rod to YS950S metering rod. 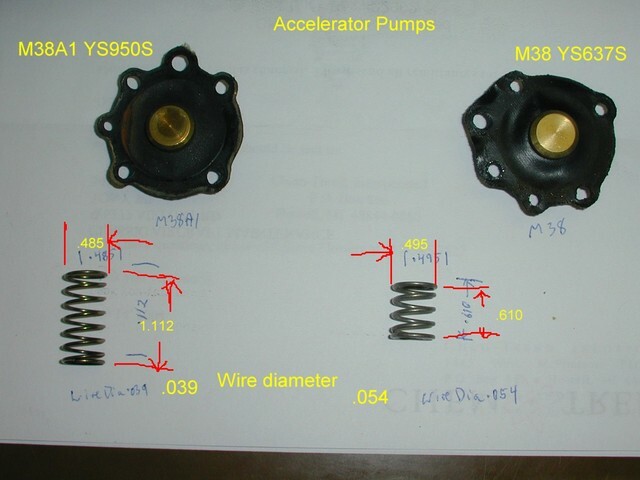 A corrected illustration for proper position of YS637S metering rod diaphragm spring. Thats beautiful Wesk! Midwest Military is out of Kits so i'll wait on Kaiser and measure everything. 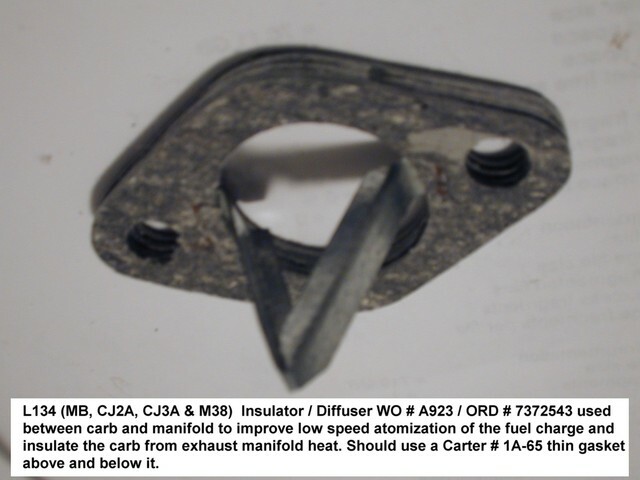 Also thanks for info on difuser gasket. i ordered one. Did you try AJP? Note that the kit sold by Midwest Military & AJP has the weight & ball included! i did not try AJP but Midwest said their 'usual" rebuild kit is back ordered for 8 months and what they stock is one like Kaiser. I had already ordered a Kaiser yesterday and called them this am and they said discharge ball and weight was included. gosh i hope so! I didn't see one in their kit photo! Which dealer did you call back? Well, this web site is about helping, sharing and learning so perhaps you & Ron can share the results of your spec's search for the ball & weight? Ron at Daytona Parts Company ( Kaiser steered me to him for discharge ball) knew the Carter YS very well . He said that discharge ball is just a 1/8" ball bearing and the discharge weight needs to be square or round stock bar that cut to lenght will be 1/8" under top of carb. Said he has been in the business for 45 years . An important tip he gave me was that if any of my original brass fiitings or jets were in great shape, use them and not any from these kits that are made overseas.